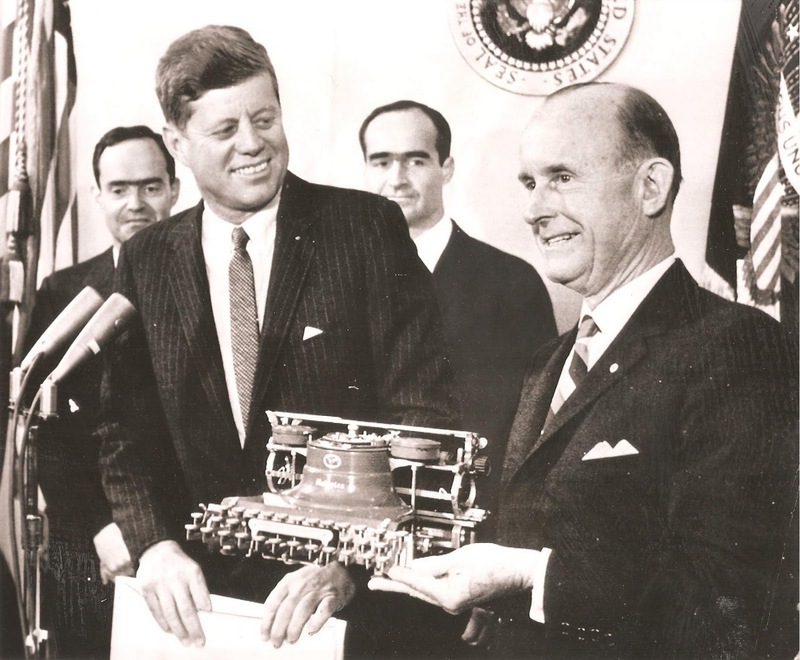 With United States President Barack Obama in my home town of Canberra this week, I thought it appropriate to revisit the story of President John F.Kennedy receiving President Woodrow Wilson's Hammond typewriter at the White House on February 6, 1962. All the more so since I have now acquired an original black-and-white print of the Associated Press wirephoto of the 1962 ceremony, along with a newspaper clipping from the time. It is interesting, at least for me, to note that various political scientists and commentators have drawn comparisons between President Obama and President Wilson, including in their foreign policy - which was largely what President Obama was in Canberra to talk about yesterday and on Wednesday. Woodrow Wilson apparently used as many as three Hammonds. 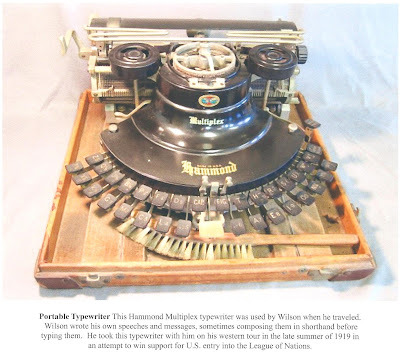 Some years ago, on the portable typewriter online forum, Darryl Rehr said President Wilson’s surviving Hammonds were “a black curved Multiplex at the Wilson house, a green one in the White House and another green one located in one of the Smithsonian museums [there is also appears to be one in Wilson’s office at Princeton, see office image below) and an Underwood at Woodrow Wilson House, Washington]. 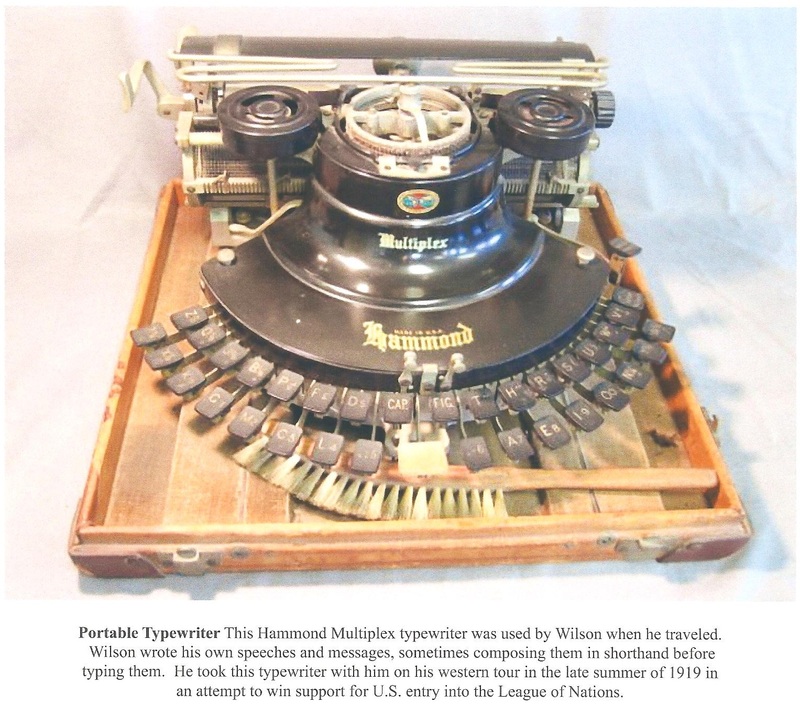 ABOVE: From a Woodrow Wilson House publication: "This Hammond Multiplex typewriter was used by Wilson when he traveled. 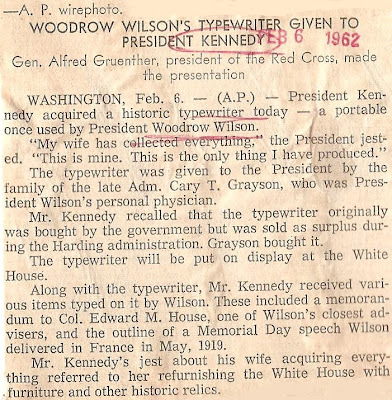 Wilson wrote his own speeches and messages, sometimes composing them in shorthand before typing them. 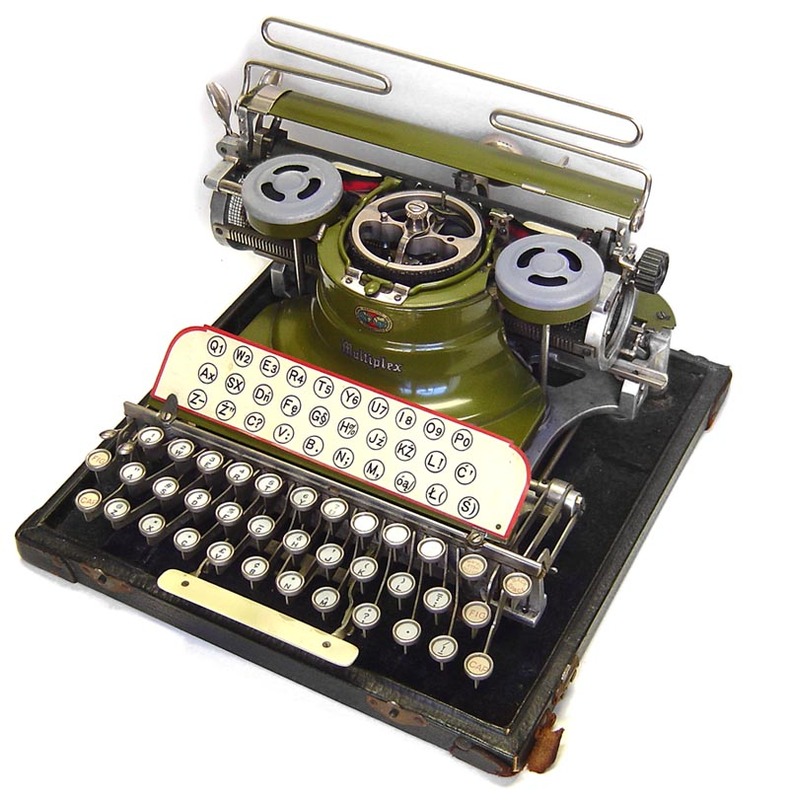 He took this typewriter with him on his western tour in the late summer of 1919 in an attempt to win support for US entry into the League of Nations. 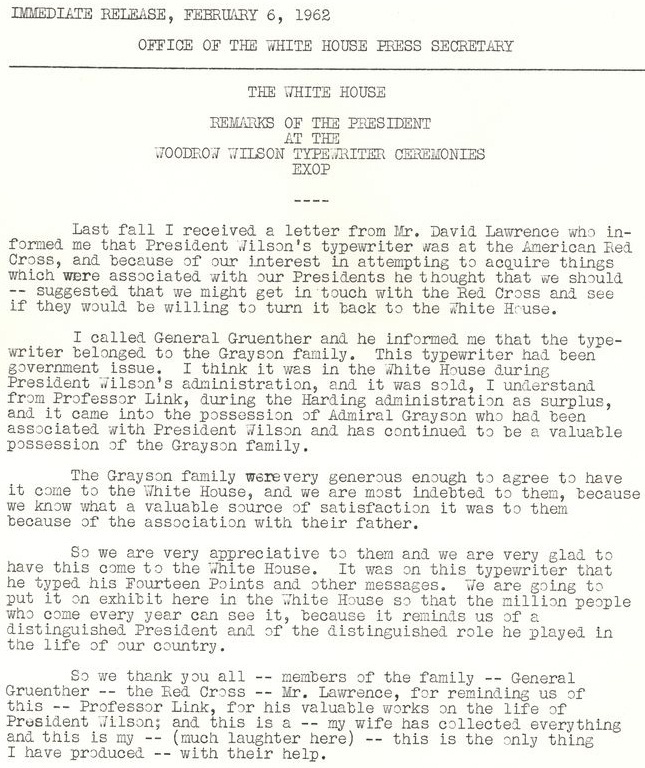 "Most dramatically, Wilson journeyed more often to Capitol Hill than any president had before. 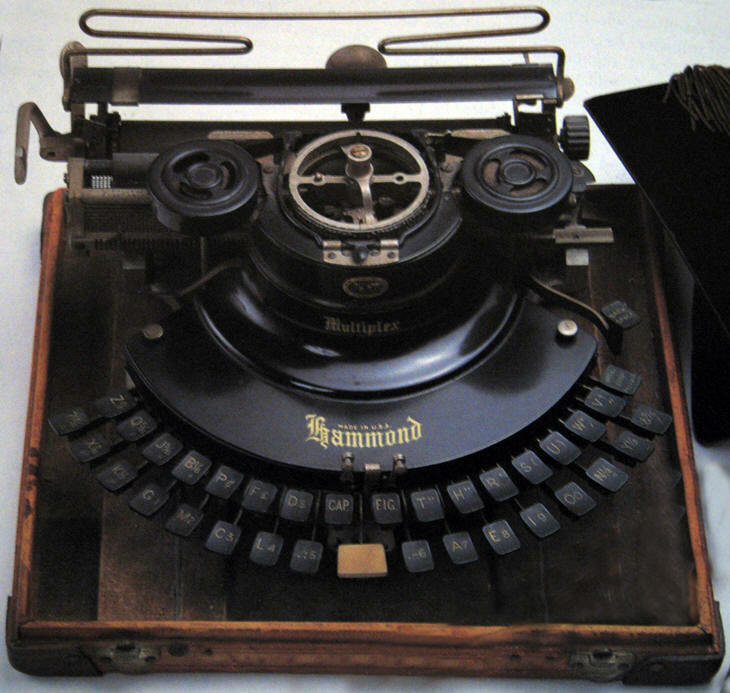 To inaugurate his unprecedented legislative effort, he broke with 113 years of tradition by personally addressing a joint session of Congress, drafting his speech himself on a newfangled machine - the typewriter." 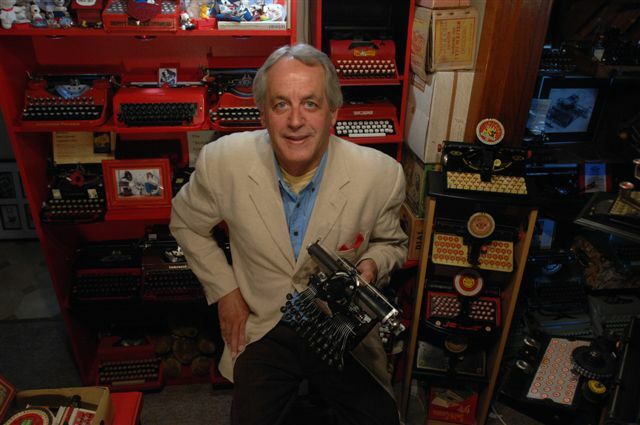 Darryl Rehr added, “Wilson always had two Hammonds on hand. 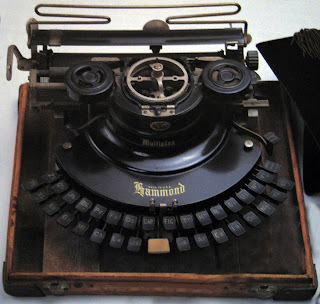 The story was that he worked at them so furiously they would slow down as they heated up, so he always had a ‘cool’ machine on which to transfer his work when the other one heated.” As Richard Polt pointed out at the time I posted this anecdote, it seems highly unlikely, given the typing speed of the Hammond. Another source claims that at least one of President Wilson's Hammonds had a Greek language shuttle. 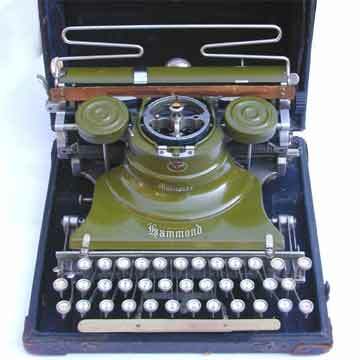 President Wilson’s green Hammond 12 found its way back to the White House after having been “carelessly given away” to his physician, Admiral Cary T. Grayson. It was found at the American Red Cross. 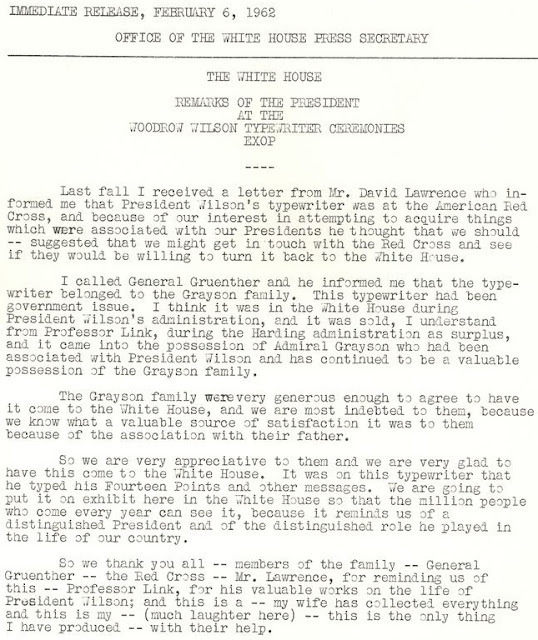 “Maker-of-presidents” and Kennedy Administration official David Lawrence told President Kennedy about this, and President Wilson’s Hammond was returned to the White House. 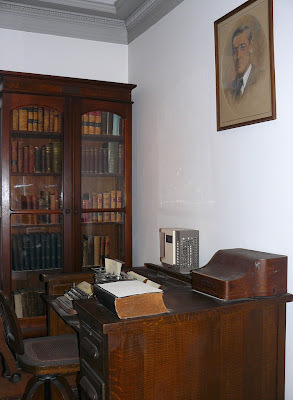 Woodrow Wilson was a very good typist and used typewriters to compose his own speeches and other official documents as president of Princeton, Governor of New Jersey and President of the US. Very, very interesting. 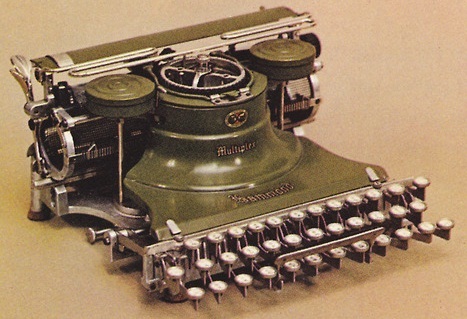 That is such a fine machine and the article is great. 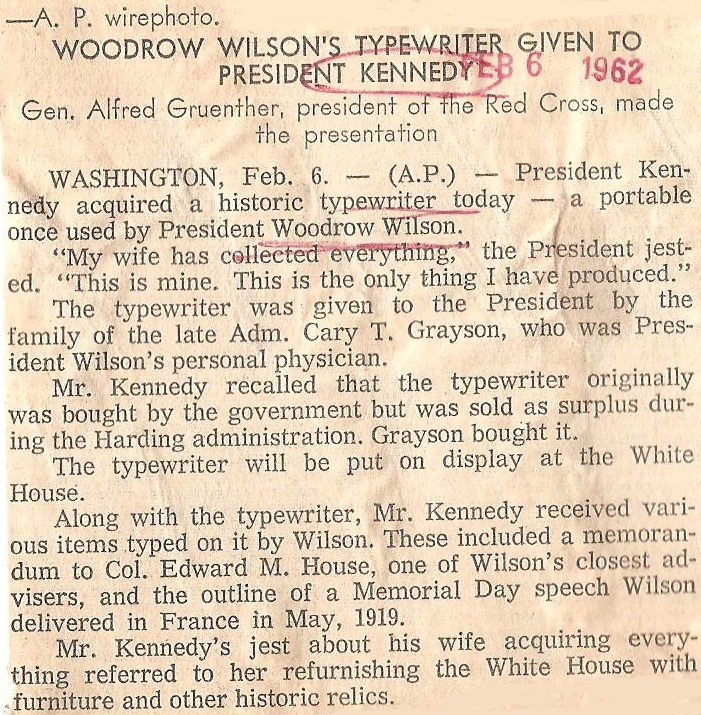 It is amazing some of the history behind the Presidents and some of what they had, they used, and what they were like. Thank you for your fine blog. That's a fantastically interesting story. Well done! In any case, this was excellent reading. Well done. Great photo you got of JFK and the Hammond! I heard recently that Wilson, among his other faults, was quite indifferent to the KKK and lynch mobs, so I hesitate to compare him to our first African-American president. those dudes standing behind kennedy, the cats with the unibrows, they're freaky.